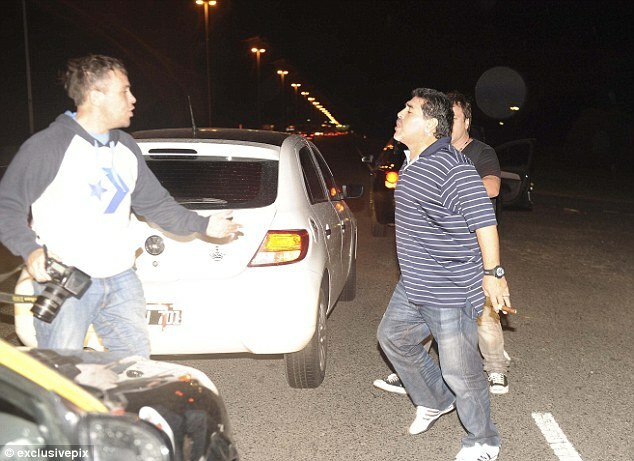 Argentine football legend, Diego Maradona appeared to be involved in a bust-up with photographers covering his arrival in Buenos Aires. 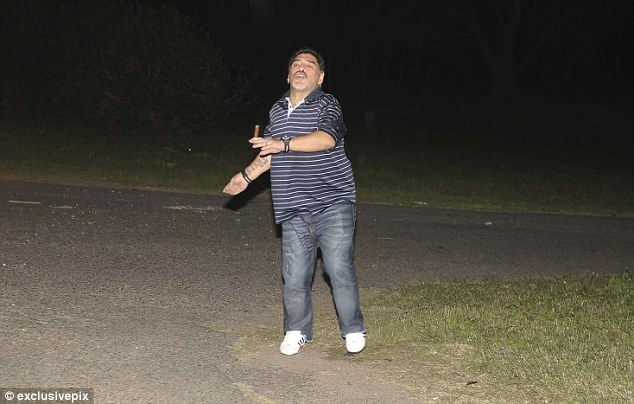 Maradona travelled to the country to meet his three-month-old son Diego Fernando, whom he had with former girlfriend Veronica Ojeda, but was not happy with the attention. The football great who is currently living in Dubai despite being sacked by Al Wasl last year, was with his 22-year-old girlfriend Rocio Oliva. 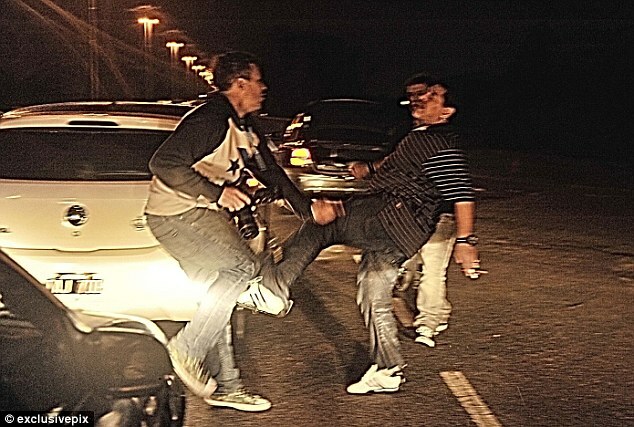 He was also accused of fighting with a passenger who had offered him a diet supplement. The passenger, Nicolas Infantidis asked a steward to take some over to Maradona on the aeroplane and upon landing revealed to the icon that it was him who had sent them. 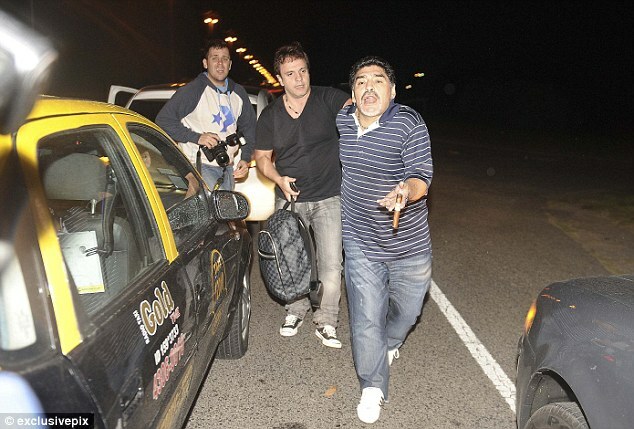 Airport security dived in to calm things down after Maradona grabbed his fellow passenger.